Hang Kenh Communal House (Đình Hàng Kênh) (also known as Nhan Tho Communal House (Đình Nhân Thọ)) is a must-see spot in Hai Phong (Hải Phòng). Situated in Hang Kenh ward, Le Chan (Lê Chân) district, Hai Phong city, it is well-known for its remarkable wood sculpture and many interesting items. Possessing the historical values and unique architecture, Hang Kenh Communal House is attracting a large number of visitors around the world. 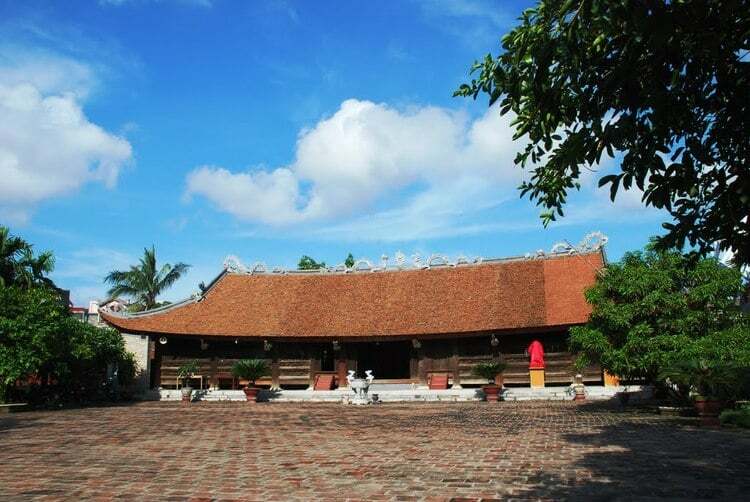 Hang Kenh Communal House is not far from Du Hang Pagoda (Chùa Dư Hàng) and other famous attractions of Hai Phong city that is famous for the beautiful beaches, great nature, and picturesque landscape. Therefore, if you want to travel not only to Hang Kenh Communal House but also other famous tourist sites of Hai Phong, it is better to come from November to March. During these times, the temperature and weather are cooler and dry without a lot of rains or storms. Therefore, tourists will have great opportunities to enjoy impressive landscapes, take beautiful pictures and take part in many interesting outdoor activities. Moreover, from 16th to 18h of the second month (lunar calendar) is also the great time for tourists to visit Hang Kenh Communal House as there are many ritual ceremonies, traditional games, festivals, the performance of “cheo” and folk songs held at the house. In this article, I would like to provide you the necessary Hang Kenh Communal House travel guide that will give you the best preparation before the trip. Hang Kenh Communal House was built in 1717 under Le Du Tong (Lê Dụ Tông) Dynasty as a communal house, and its construction was from 1841 to 1850. 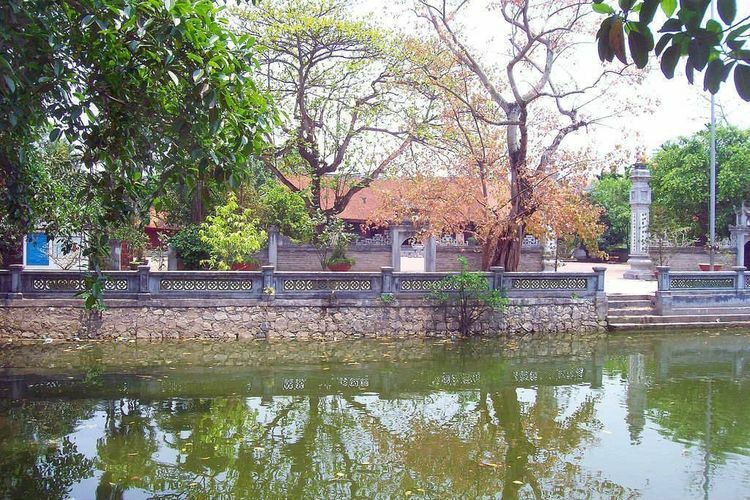 Nowadays, with the stone stele, historical values, and unique architecture maintained, this house is considered as a must-see temple in Hai Phong that attracts a lot of people to visit. Situated in a 6,000 square meter precinct, Hang Kenh Communal House impresses tourists and travelers with the hug ironwood pillars, more than 300 statues and 400 impressive dragon images. Apart from these valuable items, you can also see two ancient temples and the semicircle lake with the traditional architectural styles that are worth a visit. Visiting the Hang Kenh Communal House Hai Phong, you will admire the main front hall carved with sophisticated decorating pieces such as embossment, desquamated sculpture, posts, carving on beams, eaves, etc. It also has fantastic lively images of clouds, dragons, flowers, unicorns, plants, phoenixes, etc. These artistic features and images have made Hang Kenh Communal House become a valuable cultural spot of Vietnam. It is an omission if you visit the Hang Kenh Communal House without exploring its sacred rear temple. In this temple, they worship King Ngo Quyen (Ngô Quyền) who won the freedom and independence for Vietnam by defeating Chinese aggressors. The statue of King Ngo Quyen sits on a throne, and around are a chunk of wood and a small boat that represents the battle on Bach Dang River in 938. You should also visit the literature temple of An Duong (An Dương) rural district next to the communal house. In this temple, you can read the engraved names of doctors and feudal bachelors of former An Duong district printed on the steles. Looking for the Hang Kenh Communal House travel guide, tourists may want to know more about where to stay and eat near Hang Kenh Communal House. 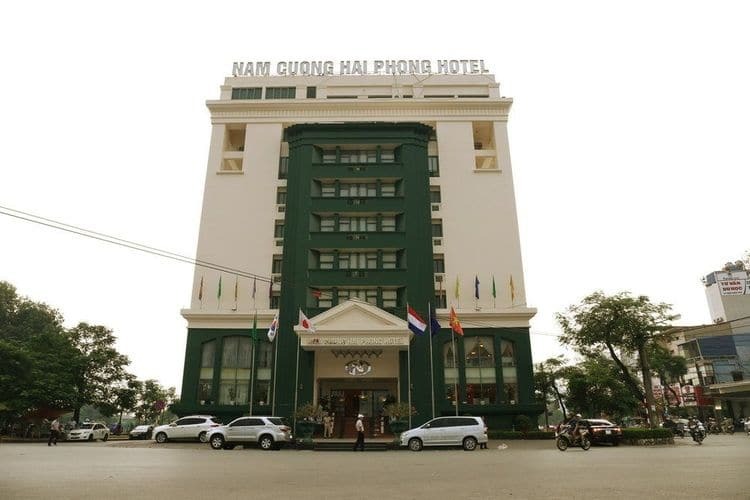 There are many accommodation options for you and here are my suggestions: Dong Duong Hotel (0.6km far from Hang Kenh Communal House), Pham Ha Hotel (0.7km), Bach Dang Hotel (0.8km), etc. These hotels offer guests affordable prices ranging from 200,000 VND to 500,000 VND for one night. If you don’t have the limited budget, the best choices are Nam Cuong Hotel (Khách sạn Nam Cường) (0.7km far from Hang Kenh Communal House), Manoir Des Arts Hotel (1.7km), Mercure Hai Phong (0.6km), AVANI Hai Phong Harbour View (2km), Khach san Huu Nghi Hai Phong (Khách sạn Hữu Nghị Hải Phòng) (1.8km), etc that offer the luxury services, 5 star guestrooms and comfortable atmosphere with the price of more than one million VND for one night. Visiting Hai Phong and its attractions, you should explore and taste attractive dishes and specialties, for example, Banh Da Cua (Bánh Đa Cua), crab hotpot, spicy bread, Banh Duc Tau (Bánh Đúc Tàu) and many kinds of seafood. Building the Hang Kenh Communal House, the locals have made Ngo Quyen become a holy belief to stay forever in their mind. Coming to Hang Kenh Communal House, tourists can show their gratitude toward the King Ngo Quyen who brought happiness and freedom to Vietnamese. I hope that you can find useful information in this article. If you have any questions, you can leave them below, and I will answer as soon as I can. To know more about Vietnam travel, visit our Vina homepage.